I recently acquired this most unusual John D MacDonald book. Well, maybe “book” isn’t the right word. First off, it measures about 6″ x 8″ in a horizontal format. Secondly, it is printed entirely on newsprint, even the cover, and has more of the feel of an old comic book. Tertiarilly(! 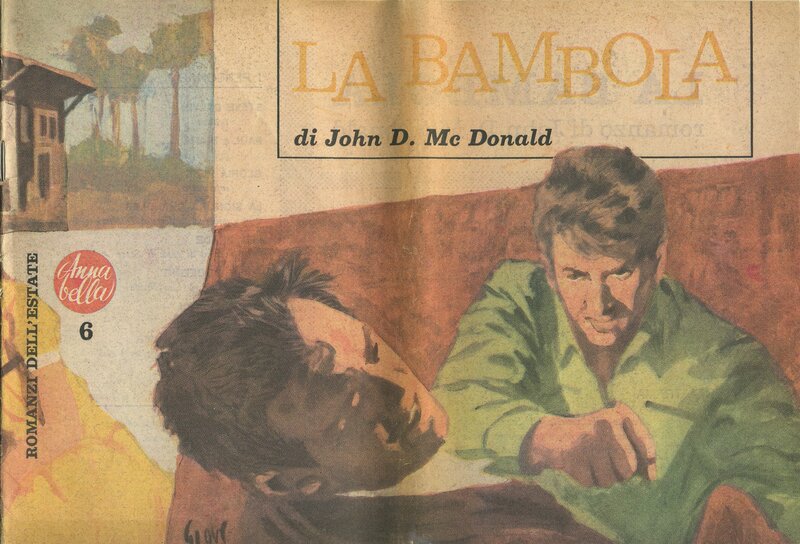 ), it is not technically by John D MacDonald, but by John D McDonald, in yet another foreign edition misspelling. And d), it features a quasi-wraparound cover (the back cover is below) and two excellent full-page internal illustrations by Giove Toppi. The oddities continue. There is no cover price anywhere, even though other paperback books from Italy carry cover prices. There is no copyright information so I can’t determine the publishing date. The title page states that it is a romanzi, or novel, but it is no JDM novel that I know, and it is probably better described as a novella or long short story as it runs about 10,000 words. 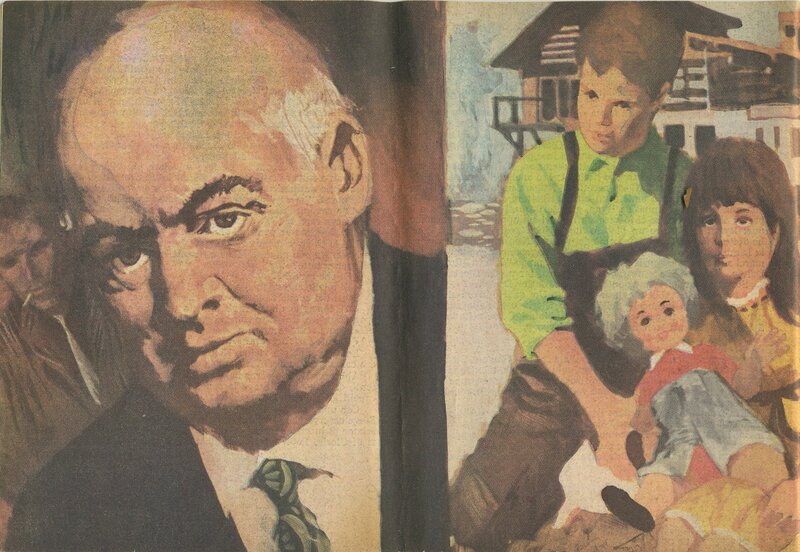 The cover suggests that the collection ID is 6, but the title page gives it as 32. Perhaps it’s a Dutch thing. I was stumped. What story is it? Cue the cavalry bugle; this is when Steve Scott rides to the rescue. Thanks, Steve! 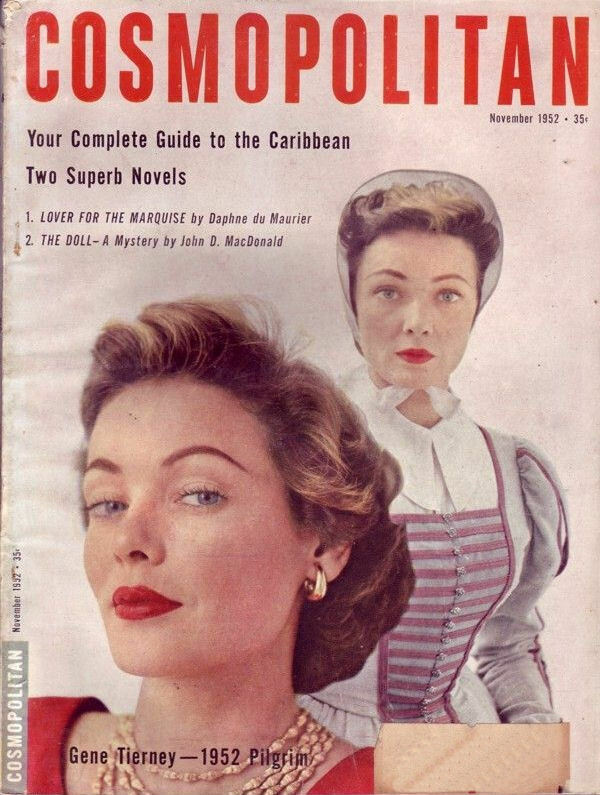 In short order, he defined it as JDM’s “The Doll”, which was originally printed in Cosmopolitan magazine in November 1952, and even provide a cover scan. It was also printed in a stand-alone Swedish version, which you can see here. He mentions that the story bears a resemblance to a storyline in April Evil; could this story have prompted that novel? I can’t wait to read it, but I’ll have to wait until I find it in English. ← 0316 Where is Janice Gantry?